Der Beitrag Ford und trinckle automatisieren den Designprozess für additiv gefertigte Produktionsmittel und Werkzeuge erschien zuerst auf 3Druck.com – The Independent AM Magazine. 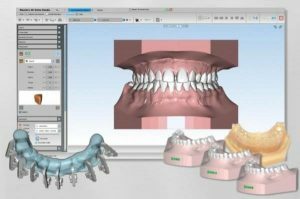 Der Beitrag SHINING 3D kooperiert mit AGE Solutions für „Maestro 3D Ortho Studio“-Software erschien zuerst auf 3Druck.com – Das Magazin für 3D-Drucktechnologien. The post How to design for HP Multi Jet Fusion technology appeared first on 3D Printing Blog: Tutorials, News, Trends and Resources | Sculpteo. The post Top 10 of the best 3D software for architecture appeared first on 3D Printing Blog: Tutorials, News, Trends and Resources | Sculpteo. The post How to fix non-manifold geometry appeared first on 3D Printing Blog: Tutorials, News, Trends and Resources | Sculpteo. The post How to fix your 3D files with Meshlab software appeared first on 3D Printing Blog: Tutorials, News, Trends and Resources | Sculpteo.